Independent U.S. distributors Hen's Tooth Video will bring to Blu-ray director William Peter Blatty's The Ninth Configuration (1980), starring Stacy Keach, Jason Miller, Scott Wilson, George DiCenzo, and Ed Flanders. The release will be available for purchase on November 4th. Last edited by pointless on Wed Oct 08, 2014 11:08 pm, edited 1 time in total. I couldn't find Hen's Tooth Video in a search on this board so I created a new topic for it. Please let me know if a topic for this distributor already exists. Last edited by pointless on Fri Sep 12, 2014 12:14 am, edited 1 time in total. I thought The Ninth Configuration was a WB property? Unfortunately their web site is pretty awful and doesn't work at all on iPad. And just barely on a PC. They do have the only US release of Peckinpah's "Cross of Iron" on DVD, which has a well-regarded commentary track by Stephen Prince, so credit for that. The Optimum/Kinowelt Region B Blu release is is otherwise superior in all regards, but is lacking the Prince commentary. Jean-Luc Garbo wrote: I thought The Ninth Configuration was a WB property? Well, the film was an independent production (half funded by Blatty and half by Pepsi!) that's been released on video by a number of companies. For example, Image did the laserdisc back in the day. It was originally distributed in the U.S. by an outfit called United Film Distributors, which is almost certainly not the same one as this. The copyright on the long-OOP WB disc is still credited to "The Ninth Configuration Company." It seems safe to assume that WB licensed the film at some point—maybe because of the Blatty/Exorcist connection—but never owned it outright. Ironically Blatty never even tried to set it up at WB because he felt they'd cheated him out of profits from The Exorcist. The Pippi Longstocking Collection is to be release October 27th. 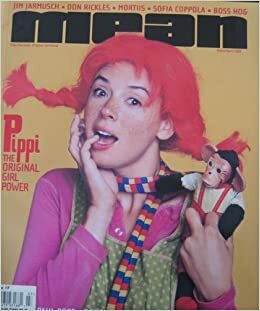 The four films in the collection include Pippi Longstocking (1969), Pippi Goes On Board (1969), Pippi In the South Seas (1970) and Pippi On The Run (1970). There's no reason this should be a 4-Blu-ray set except to take in the gullible with an inflated retail price. The 4-DVD set could have fit on 2 discs, and less-than-stellar masters probably have been crammed onto a single Blu with a $20 retail price with no noticeable compression issues. Seriously, $65? I guess that, at best, one should expect a slight upgrade in video quality over the cheap nonanamorphic DVD set of a decade ago. On the cover, keeping the ugly glowing-hair and Comic Sans design is bad enough, but they could at least capitalize the titles consistently. No 80s Pippi, no sale. "Pippi Longstocking is coming into your woorld, something something something girl"
No commentary from the Gilmore girls, no sale. They will also release Hodges' Croupier. Interesting. How are their Blu-rays usually? I have The Private Eyes, which I thought looked decent enough and have very few complaints against, and Ninth Configuration reviews seem to suggest it's ok if nothing special. I remember liking Croupier but haven't seen it in years. I avoided the Alliance DVD when I was living in Canada (I recall it was full screen) but never thought to pick up the American one, so I wouldn't mind getting this to revisit it. Hodges has a phantom page, too. I figured it was for Croupier. vidussoni wrote: Hodges has a phantom page, too. I figured it was for Croupier. According to their website, Hen's Tooth is putting out a DVD of Peter Greenaway's Drowning by Numbers sometime in the foreseeable. A while back, I bought my first copy of Persona on VHS and thought they did a terrible job with the transfer and the subtitles. It looked like it came from a 16mm print or something. The subtitles were white but they didn't have black lines around the letters. I don't know if they have improved since then with the quality of their transfers or changed the way their subtitles look. What does Hen's Tooth releases look like now? Their Blu-rays consistently get video quality ratings of 3.5 or 4 out of 5 at Blu-ray.com. Hen's Tooth isn't really doing their own transfers; they're just one of many labels releasing available masters supplied by the rights-holders. In some cases, it's safe to say a Hen's Tooth Blu-ray is a major step up from what was available before, for example their release of The Ninth Configuration easily beats the Warner DVD, which was presented in non-anamorphically enhanced 2.35:1.